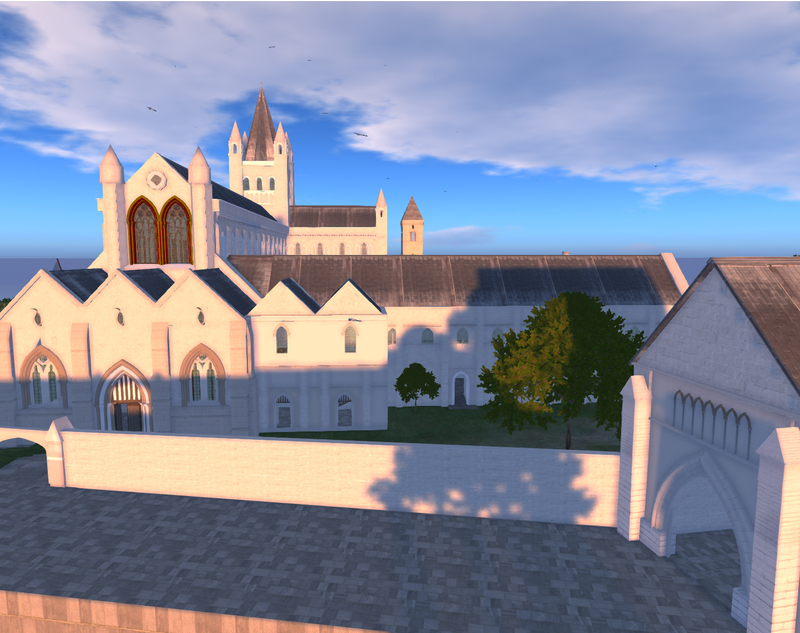 The reconstruction of St Andrews Cathedral is an ongoing collaboration between the Schools of Art History, Computer Science and Classics, with input from the Library Special Collections, Museum of the University of St Andrews, History and Music. 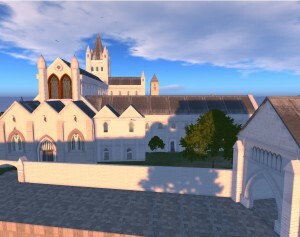 The reconstruction models the Cathedral as it was in 1318. It is based upon archaeological evidence. 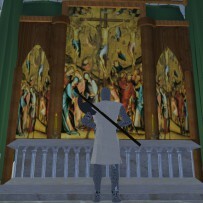 Users are able to access the Cathedral online and through the proxy of the avatar explore the reconstruction. You can also listen to music from the period and meet characters associated with the Cathedral. The project was funded by the St Andrews 600 Committee, St Andrews Community Trust, CAPOD, SiCSA, ESPRC and Higher Education Academy.